Capitol Style Benches offer simple and charming public seating perfect for both indoor and outdoor environments. 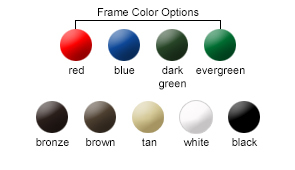 The wood slats on the back and seat give it a natural look, and the powder-coated steel frame can be finished in any of the color options shown below to match your facility. The wood slats are spaced for comforting air flow and also allow the slats to dry quickly after rainfall. 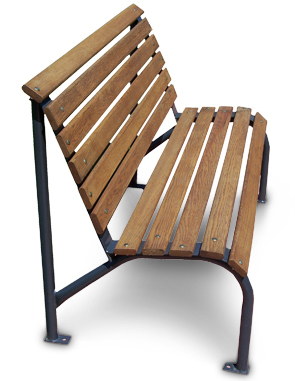 All Capitol Park Benches come standard without armrests (as shown), but optional single armrests are available to order. The Capitol Chair and 48" Capitol Bench come standard with two legs, while the longer length benches come standard with three legs. A matching trash receptacle with a dome top lid is also available in the same beautiful wood to complement the benches.